As we navigate the start of a new school year here in the UK, I ask a teacher for some top tips for working with your child's school to support their eating. 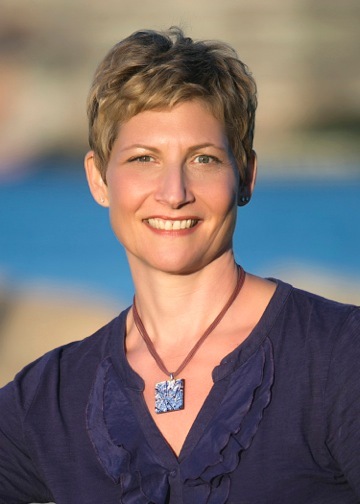 American writer Sally Kuzemchak is a mother of two and a registered dietitian. She is based in Columbus, Ohio. I connected with her on twitter ( you can follow her @RMNutrition) and the way she writes about nutrition with such sanity and humour really appealed to me. I am especially interested in her thoughts on snacking and so I invited her to write a guest post on the subject. I hope you enjoy reading about 'snacktivism' as much as I did. It's baby-led weaning week on the EAF blog and to start us off, I am excited to be posting an interview with Nutritional Therapist Kathryn Barker. Kathryn runs 'BabyBites' baby-led weaning and infant nutrition classes in the East Midlands, UK. Kathryn trained as a Nutritional Therapist when her eldest child was a baby. She is passionate about baby-led weaning and started teaching other parents about it when she realised that there was a huge demand for more information on the subject. 1) What made you want to train as a Nutritional Therapist?It was because of a personal interest in nutrition and wanting to learn more. I didn’t really know what I wanted to do when I went to University but as I got older I became more aware about what a difference having a good diet can make and how important it is to all areas of our health. When I had my first child I wanted to make sure I was equipped with the knowledge to ensure I could give her the best start in life in terms of her development. 2) You teach baby-led weaning classes - what is about baby-led weaning that appeals to you? Baby led weaning appeals to me for many reasons. When you look at it logically, it makes complete sense to let a baby learn to chew food before they learn how to swallow it. The fact that a baby’s gag reflex is much further forward in their mouth when they are young, and moves back as they get older, suggests that this is the way mother nature intended babies to move onto food from milk. It also helps to develop a healthy relationship with food because there is no pressure placed on the baby around mealtimes. It’s wonderful watching a baby develop the skills needed to eat different foods and enjoy a wide variety of tastes and textures. 3) If you could give one piece of advice to new parents about weaning, what would it be? Try and relax about it and don’t panic if your child doesn’t want to eat at every meal or every day. That’s normal. It’s far better that you allow your baby to make those decisions than to force food on them. I think people worry too much that their baby isn’t eating what they expect them to but it’s important to recognise that every baby is different, and that everyone has days when they lose their appetite for one reason or another. 4) What question do parents most frequently want an answer to in relation to food and feeding? The main concerns people have are what their baby can and can’t eat and when. There seems to be a lot of mixed information out there which can overwhelm people. Advice keeps changing too in line with recent research so it can be a bit of a minefield and people worry they are going to get it wrong. 5) Do you have a 'nutrition hero'? Which writers / thinkers have influenced you in your work? I’m not sure I have a ‘nutrition hero’ but I find the work which they do at the Brain Bio Clinic fascinating. I watched a lecture from them about nutrition and mental health which was very inspiring. The effect that changing the diet can have on conditions such as schizophrenia can be amazing and far more effective than the traditional drugs often used. I wish there was more awareness out there for people with mental health issues (and also carers) that a more holistic approach might be effective for them, and have less side effects than some of the medication given. 6) What are you up to at the moment? Any interesting plans for 2014? Until my youngest starts playgroup at the end of the year I don’t want to take too much on. I’m happy continuing with the classes and spending time with him. I’d like to get more into foraging though and get creative in the kitchen. I made some lovely elderflower champagne last year and loads of cherry jam. Hopefully we’ll get some sunshine eventually and we’ll be able to get out round the woodlands and hedgerows to see what we can find! New for 2014, I am planning a series of six interviews over six months, with various people who have something to say about children's relationship with food. To kick us off for January, I am thrilled to be posting my interview with Kristen Yarker, MSc, RD. Kristen is known as The Dietitian Who Transforms Picky Eaters into Food-Confident Kids.